There is no right or wrong way to drink bourbon--in a cocktail, straight up, on the rocks, or with a splash of soda. You will never know which is your way until you try them all, and How to Be a Bourbon Badass will guide you on the path of your own bourbon adventure. 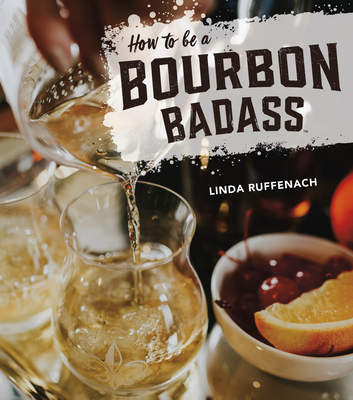 In How to Be a Bourbon Badass, Linda Ruffenach tells the story of her own personal journey with bourbon and shares behind-the-scenes tales from bourbon industry experts and rock stars. She captures the storied history of America's native spirit, explains the process of making liquid gold, and offers top-notch cocktail, dinner, and dessert recipes for the novice and connoisseur alike. From tales of legendary master distillers to stories of women whose lives were changed through newfound bourbon badass confidence, and from recipes for classics like the bourbon highball to fresh twists like strawberry bourbon lemonade with rosemary, Linda Ruffenach will redefine your perceptions of bourbon and those who savor it. Your journey to becoming a bourbon badass begins here. Linda Ruffenach is a businesswoman, entrepreneur, and the founder of Whisky Chicks. She believes that sharing a glass of bourbon and learning about America's native spirit are great common denominators to bring people together. Ruffenach takes pride in creating experiences that make learning about Kentucky bourbon approachable, fun, and informative. Her sense of community and commitment to paying it forward drive her to empower others to bring out their inner badass.